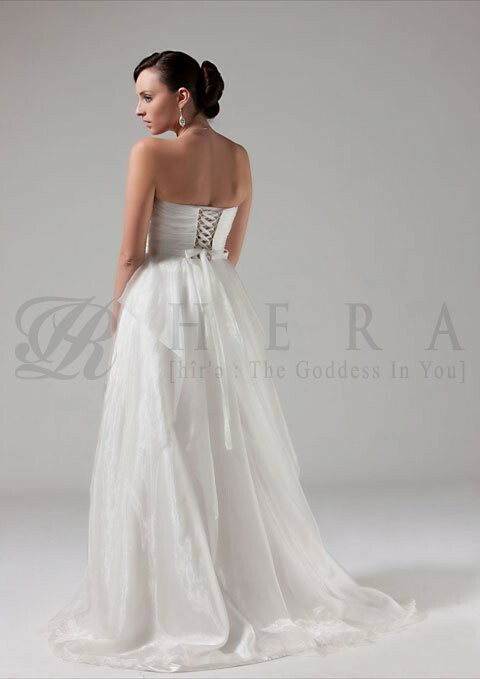 Designed by Katie Yeung, this lovely Hera Bridal gown was made with 100% silk organza. I loved the ballerina, translucent style lace up back which added a romantic, elegant touch to the beautiful gown. I normally fit in UK size 8, with bra size 32A but the adjustable lace up back would mean UK10 and bra size 32B could fit as well, according to the designer. The gown was slightly boned and padded, light corsetted so you won't need to wear a bra on your special day. Added features include Italian lace trimmed hemline with 3D flower application. Dry cleaned, in excellent condition.